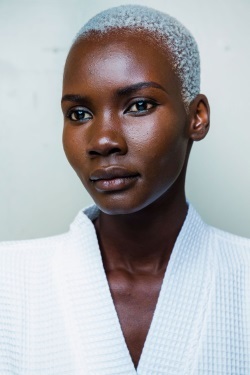 During Fashion Month – which saw Fashion Week take place at London, New York, Milan and Paris – we were checking out which hairstyles peppered the runways as spring 2019’s hot looks. It seems that next season’s all about bold, dramatic hair ranging from slicked-back up-dos and pastel colours to tousled waves and accessories galore. Not only does fashion love nostalgia, with past trends making regular appearances decades down the line, so too does beauty. Hair specifically. The hair style that’s tipped to be spring’s biggest inspiration is the 90s blowout which is blowing your hair to a smooth finish with lots of natural volume. Lots of volume and lots of length styled to be beautiful, healthy and off the face. Bohemian curls and braids with wooden beads on hair that’s been textured from the roots to the tips. This easy, relaxed hairstyle was created with volumizing product for texture and spray wax to complete the look. Straight hair was slicked back to behind the ears to show off those designer earrings to best effect. A super high bun – sometimes tidy, sometimes messy – with a length of free-falling hair was a popular choice. 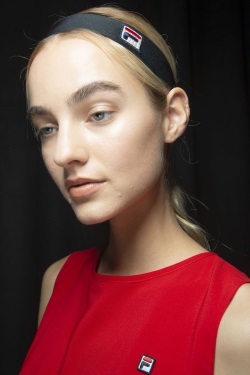 Shiny, low-set ponytails – in this case side-parted – were yet again a runway staple. The styles varied but pastel colours ran throughout, here shown with a buzz cut. Streaks of neon colour by way of clip-in extensions secured into a messy, low ponytail and accentuated with matching coloured earrings. Copious amounts of gel and pins created this timeless, neat bun at the nape of the neck. Wild hair decorated with flowers and jewellery gave a romantic feel to match models’ clothing. Fila used headbands (shown here), bucket hats and caps to complement the brand’s classic, sporty looks. 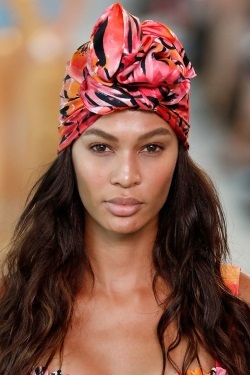 Inspired by the 60s and 70s but with 2018 surfer vibes, silk scarves made an appearance on loose hair. This hair advice is brought to you by Hairdressing Claims, experts in claims against hairdressers. We’ve got proven expertise in helping individuals gain compensation for harm caused by hairdressers including hair breakage, hair damage, scalp burns and scalp blisters. Contact us for further information and to start your claim. Email enquiries@hairdressingclaims.co.uk, call 0800 970 9102 from a landline for free, phone 0333 202 6560 from a mobile or complete our online enquiry form. As most of us adhere to a regular hairdressing schedule to keep our hair in good condition and maintain our preferred style, the process of going to the hairdresser’s every 4 to 8 weeks, year after year means it’s almost inevitable that, at some point, we’re going to experience disappointment with the treatment given. Only on extremely rare occasions to an unlucky few, however, does an appointment with a hairdresser result in our lives being irreparably altered. But that’s exactly what happened to a 47-year-old nurse from West Lothian, Adele Burns, as reported recently. The alleged cause of harm to Adele was the impact of the sink on the back of her neck when she had her hair washed six times during what was supposed to be a routine cut-and-colour treatment that went wrong. You see, if not given adequate neck protection when having your hair washed in the basin at a salon, you’re at risk of experiencing what’s been called ‘beauty parlour syndrome’. By being uncomfortable and extending your neck backwards for a long period, the arteries in the neck can be stretched, blocked or even cut. This means the blood supply to your brain is stopped, causing blood clots and strokes. Depending on where the stroke affects the brain, the damage caused can be both physical – with slurred speech and paralysis amongst the symptoms – and emotional – such as depression, anxiety and aggressive behaviour. The range is vast. Some stroke victims have minor issues; others suffer long-term debilitating outcomes. Where Adele’s concerned, her life was “turned upside down” by being unable to drive, and struggling to speak, read and write. Because of this, she could no longer work and became completely dependent upon her husband so the couple were forced to sell their family home. The salon, Rainbow Room International, was negligent in two ways. First, Adele wasn’t given a strand test which could have helped the hairdresser better understand how her hair would react to dyeing thus avoiding the need to repeatedly wash her hair in order to achieve the correct colour. Second, they failed to offer a front-facing sink or provide suitable neck protection on the backward-facing sink which could have prevented overextension of the neck’s arteries. With legal representation, Adele is pursuing a £1 million claim for life-changing damages. This serves as a warning to salons who ignore their duty of care and to hairdressing customers who should know about possible risks to their health from maltreatment. It’s also a reminder to anyone who’s injured by their hairdresser to speak out, like Adele, and seek compensation too. We’ve reported similar cases previously on our blog. Read our earlier post about £90,000 damages awarded for a salon shampoo injury case. If you’ve been hurt during a hairdressing appointment and would like some free initial legal advice about your next steps, contact our team in confidence today. Email enquiries@hairdressingclaims.co.uk, call 0800 970 9102 from a landline for free, phone 0333 202 6560 from a mobile or complete our online enquiry form. The biggest ever study on genes and hair colour has been undertaken by an international scientific team with results recently published in Nature Genetics. 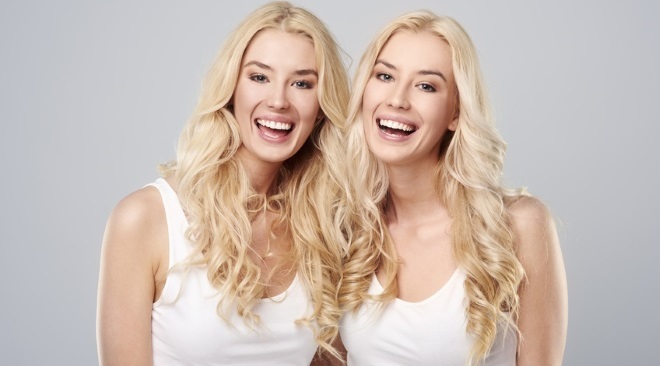 Data analysed from 300,000 participants of European descent showed that women are twice as likely as men to have blonde hair. Another interesting discovery was that men are three times as likely as women to have black hair. These research findings demonstrate that the colour of our hair is a highly heritable trait, related to our genes, with an unusual bias towards more blonde haired women and more black haired men evident in every population sub group analysed. Joint lead author of the study, Professor Tim Spector from Kings College London, said: “It’s a mystery and it’s intriguing because it wasn’t what we were looking for.” Read more of Tim’s comments on the BBC website. 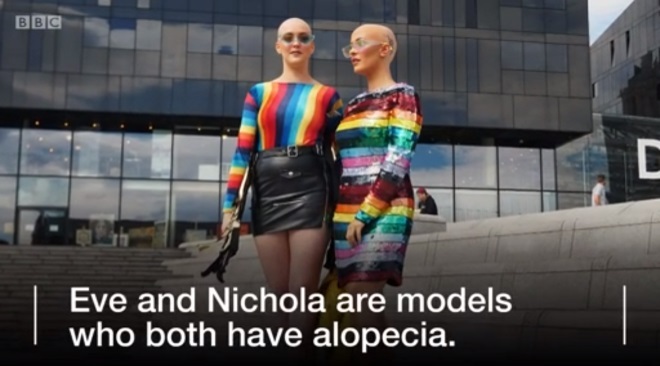 While these gene-related revelations appeal to professionals operating in the hair industry, Hairdressing Claims included, there are huge implications for other sectors too, such as medical and police forensics work. Two uses of the data are that it’ll help improve our understanding and treatment of diseases, and make it possible to ascertain villains’ physical identity at crime scenes. On a related note, if you’re not a natural blonde and are tempted by a total dye job to recreate the look, please heed our earlier advice to would-be blondes about over bleaching your hair. Incorrect or over application of bleach is seriously bad news for your hair and skin, both of which can suffer severe and irreversible damage. At Hairdressing Claims, our raison d’etre is to help individuals who’ve been hurt by their hairdresser. If you experience harm at the salon in your quest for blondeness, get in touch by emailing enquiries@hairdressingclaims.co.uk, calling 0800 970 9102 from a landline for free, phoning 0333 202 6560 from a mobile or completing our online enquiry form. You can’t beat a summer holiday spent at some exotic, far-flung destination (or closer to home, if you prefer!) to unwind from the normal stresses and strains of life and work with your closest family and friends. While enjoying some much-needed relaxation time on hot summer days, the challenge comes in counteracting the frizz to your hair caused by humidity. Not to mention the adverse effects of sand, salt and wind on your tresses if you’re heading beachside. 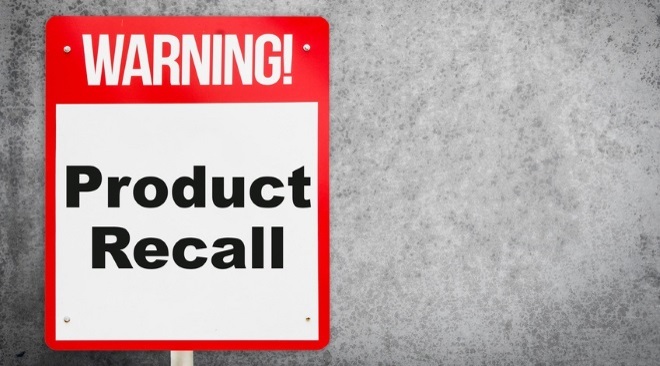 As savvy consumers, we’re well trained in checking the list of ingredients in just about everything these days, especially when it comes to avoiding potentially harmful chemicals in beauty products. For this reason, sulphate-free shampoo is gaining popularity amongst health-aware fashionistas. You see, sulphate lifts the hair cuticle which makes it more susceptible to frizz. Swap to sulphate-free to tackle frizz from the get go. For the optimum holiday conditioner, just like your shampoo, buy something that’s free of nasty chemicals and suits your hair type. As you’ll no doubt be applying more styling products while away than you usually would at home in order to combat frizz, a moisturising formula is the better option. Yes, they do exist. And yes, they do work. If you’re holidaying somewhere with a hot or humid climate, use an anti-humidity sealant to stop your hair reacting badly to the weather. The spray formula gives hair a non-greasy, sleek shine which lasts for up to 3 washes. First, start your blow dry by brushing any baby hairs away from your face. Second, hold your hair dryer facing down. Third, use a round brush to make outward movements to dry the crown of your head in such a way as to prevent frizz. Tousled waves are the perfect beach look so add some movement to the length and ends of your hair. These curls are useful in preventing puffiness due to humidity too. Alternatively, your plan B may involve arranging your hair into one of your preferred up-do styles such as a slick ponytail, French braid or messy bun. With your up-do in situ, use a variety of pretty clips, hairnets and headbands to keep frizz locked down and look lovely all at the same time. A little hairspray won’t go amiss to fix your hair into place, whether it’s loose curls or a pinned-up style. To really finish off your hairstyle to perfection, apply hairspray to a toothbrush and comb down any flyaway strands. At the hairdrying stage, remember your heat protector spray to shield your hair from temperature-induced damage. There’s also the heat from the sun to bear in mind. Use heat protectant during the day as a barrier from harmful UV rays, as well as sand, salt and wind when you’re spending time on the beach. You may even opt for something stronger for this purpose such as leave-in conditioners, serums, oils or glosses. Check out the extensive range of products available in your nearest chemist. When going on holiday, you don’t want to bulk up your suitcase unnecessarily when you’ve got luggage weight restrictions to adhere to. Take a look at the relatively new-to-market anti-frizz sheets which are purse-portable and designed to tame the frizziest hair. Probably the easiest thing you can do when humidity strikes is tap into the wet look hair trend. Simply add a gel spray to your hair when wet and finish with a holding spray. The frizz won’t stand a cat in hell’s chance! Something much overlooked but thought to make a big difference to those with frizzy hair is the material of your pillowcase. Cotton absorbs moisture from your hair which can cause dryness and breakage. Switch to a silk pillowcase instead as added protection for your hair. This hair advice is brought to you by Hairdressing Claims, experts in claims against hairdressers. We’ve got proven expertise in helping individuals gain compensation for harm caused by hairdressers including hair breakage, hair damage, scalp burns and scalp blisters. Contact us for further information and to start your claim. Email enquiries@hairdressingclaims.co.uk, call 0800 970 9102 from a landline for free, phone 0333 202 6560 from a mobile or complete our online enquiry form.